The next-generation Ford Fiesta was showcased at 2014 Delhi Auto Expo in February. The mid-sized sedan is set for a mid-June launch in India now. American auto giant Ford will launch the diesel version first in the competitive Indian automotive market. The popular sedan has gone through many interesting changes inside and out to post a completely new look. 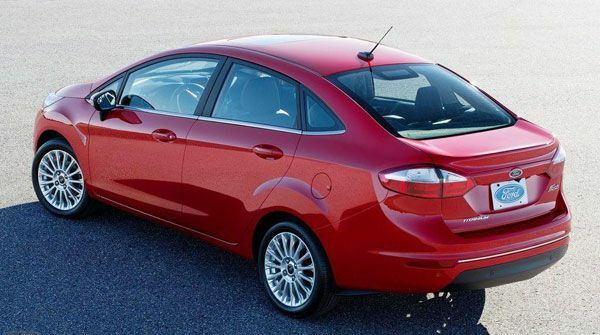 Initially, the all new Fiesta will be available in a diesel engine only. Ford will reportedly come up with the petrol variant later this year. The 2014 Fiesta, powered by a 1.5-litre TDCi diesel engine good for 90bhp, sports an upscaled look with raised bonnet, redesigned headlights, body colored bumpers with fog lamps, bigger front grille and new alloy wheels. Though, the new Fiesta looks bigger and masculine but it carries the same dimensions and mechanism. The only diesel variant will be available in three versions – Ambiente, Trend and Titanium. The 2014 Fiesta has got some standard features such as height adjustable driver seat, ‘guide me home’ headlights, split-folding rear seat, electrically adjustable side mirrors and remote locking. Anti-lock Braking System (ABS) and Electronic Brake Distribution (EBD) also come as standard safety features in all versions of new Fiesta. Ambiente gets only driver airbag and Trim and Titanium get passenger airbags as well. The base model of new Fiesta is equipped with no music system at all. It can be considered as a major drawback. Mainline system with connectivity facility is available only in the top end variant Titanium. The base version Ambiente lacks almost all the features like body colored mirrors and door handles, leather covered steering wheel, fog lamps, auto climate control, cruise control, wheel covers etc. Only the top end variant carries all the features that should have been standard in the new Fiesta. The spacious interior of all new Fiesta is restricted to grey-black theme giving it a pleasantly classical look. 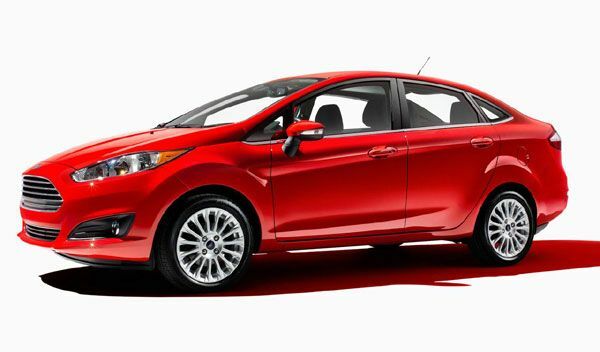 Overall, the 2014 Ford Fiesta posts a refreshed look. Ford introduced the Fiesta sedan in Indian in 2011 but the decently designed car didn’t receive a welcome in the competitive market. This time, Ford is playing a little smart and launching just the diesel version first. If all goes well, we’ll see the petrol version by the end of this year or next year. The petrol variant will probably feature the EcoSport’s 1.0-litre EcoBoost engine good for 123bhp. 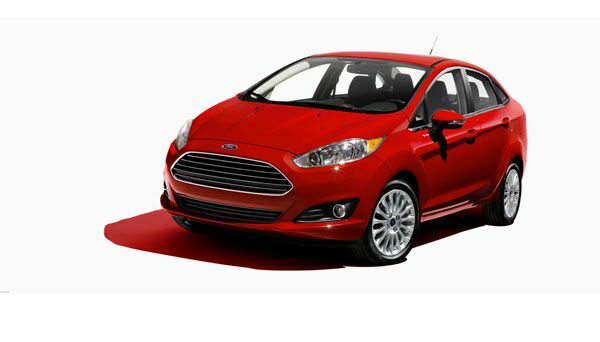 Ford is expected to cost the new Fiesta quite competitively.